In Ghana, financial systems are going through an extreme period of evolution. Mobile money has taken an exponential growth trajectory, with telecom MTN amassing 75 percent of the country’s 11M active accounts. This ‘banking for the future’ narrative is only in its beginning: this September, MTN pulled off a historical first — an initial public offering done through mobile money. More than 100,000 Ghanaians purchased MTN shares with their mobile money accounts. Ghana is going through a period of financial innovation, in a way that no African nation has seen. Market conditions are atypical to stories of the past that focus on fraud, corruption, and exclusion from formal financial services. Mobile phones give Africans financial agency in a way that they had not previously received from traditional banking systems. At the heart of this transformation are networks of banking agents. These individuals fill last-mile gaps in areas where people don’t have access to brick and mortar banking infrastructure, facilitate KYC and AML, and protect their customers’ livelihoods. More importantly, these agents take on roles as educators, problem-solvers, and facilitators. They are pillars within their communities and bring the vision of decentralized banking to life. 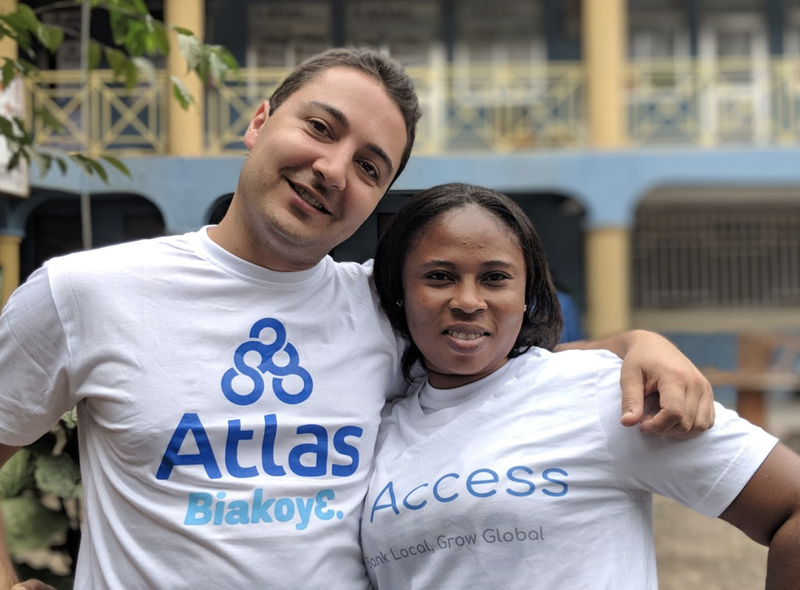 The same team behind the Access Network Foundation runs Atlas, a mobile money app that facilitates peer-to-peer banking in West Africa. 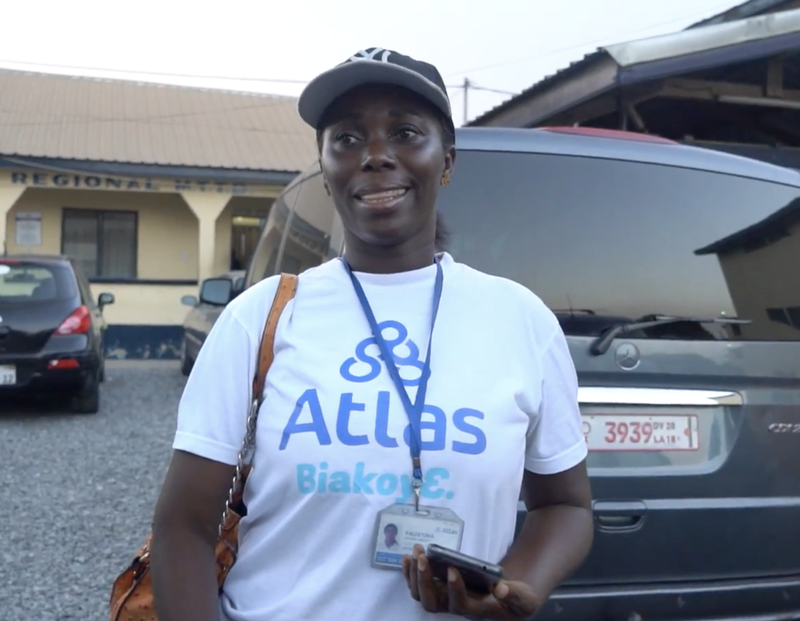 In 2018, Atlas grew to a user base of 30,000 in West Africa. Through this banking system, we are able to reach a population of entrepreneurs, community leaders, and everyday residents who are seeking access to financial services. Through our growth story, our team has learned a valuable lesson: our agents are the heart of this infrastructure. 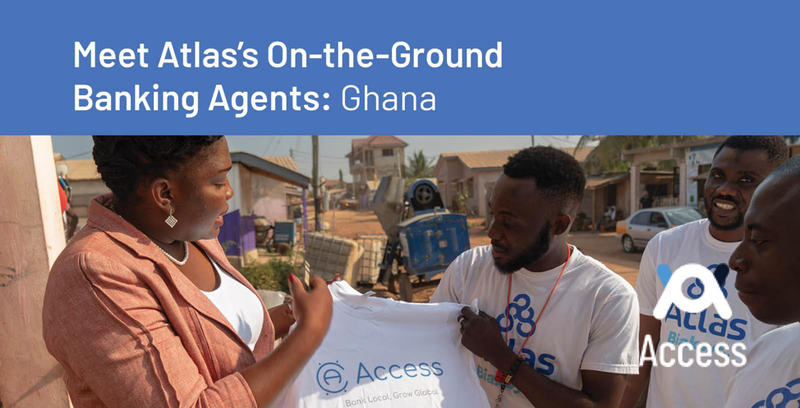 Meet a few Atlas agents from Ghana, below. I hold a degree in sales and marketing management from Sunyani Polytechnic in Ghana. I love being close to people and solving problems. Relating to others is where I find my fulfillment. I was referred by a friend to a branch lead who briefed me about the job and introduced me to the team full of cheerful, hardworking individuals. There and then, I was prepared to give my all and to grow with Atlas. The team was more of a family. Why do you like being an agent? Getting to know people has always been a passion for me. Getting to understand them, share ideas and offer solutions to people is what brings me fulfillment. I am a talker and I consider it as one of my strength. It feels great using this skill in a positive way. What’s a good day like for you? It’s when I’m able to contain pressure and meet the needs of my clients in spite of delays. I mostly register 5 new clients on these days. What kinds of people are you banking? I work with people building all kinds of business. Most of them trade in cloths, beads, cooking utensils and footwear. What skills make a great agent? Assertiveness is a powerful skill for an agent. You also need to be friendly to win the client over and be able to build relationships. Develop interest in their lives and they will develop an interest in your product. What is your favorite customer story of 2018? A client used to argue with me every day on the monthly deduction. In all honesty, it was getting quite uncomfortable anytime I would visit her. The story changed this year due to Atlas taking off monthly deductions. She’s happy and much more confident of the product now. What do you love most about the people in your community? At any point in time, they’re willing to share their frustrations and ideas. They let me be innovative in helping solve them. It’s always a pleasure to get to know how your clients feel so that I can help. Knowing that my clients are vocal brings me so much joy. Joyce speaks about how Atlas makes life easier for clients. Atlas Agent Faustina Naana Amoah in Accra, Ghana. I’m married with three kids. I was born in Tema, and l come from Aburi in the Eastern region. I have a degree in secretarial work. Through a friend who happens to be an Atlas agent. I want to be self-employed, grow my business, and have strong communication skills. I also enjoy talking to people. Can you describe to me your average? What kind of people /business are you banking? Which area do you service? What qualities make a good agent? It is important to be friendly, courteous and have a positive attitude. An agent must know how to quickly solve clients’ problems. What is your favorite customer story from 2018? Customers are happy about our door-to-door service and fee structure. They are sociable and tolerant. You can also read about Atlas Senegal’s agents and their stories here. This work was a collaboration between the entire Access Network team, ranging from the CEO to CTO, COO, Chief of Staff, and other members of leadership. Emily Burchill, Shannon Wu, Erin O’Grady, Ritika Puri, and Karissa Domondon created this story. The opinions expressed are those of the authors and are no guarantee of the future performance of any Access Network fund or service. This material has been prepared for educational purposes only. It is not intended to provide, and should not be relied upon for, investment, accounting, legal or tax advice. Access Network is currently unlaunched and has not announced a token generation event. Blog posts are intended to provide education about the business model and its path to development, only. Decentralizing banking. Start local. Grow global.